"This is a rotational deployment," said Maj. Holly Brauer. "They are going to be participating in some exercises coming up. It's a usual rotation." The F-35 is meant to be able to operate within the world's deadliest air space, such as within the range of Russian or Chinese air defense systems. In addition to being stealthy, F-35s have a suite of sensors that allows them to detect enemies in the air and on the ground much further away than older U.S. aircraft. Nearly two decades since the program began, every F-35 variant remains beset by technical glitches. The Defense Department's 2018 research, development, test, and evaluation report found the F-35A's cannon, which is meant to attack ground targets, has an accuracy best described as "unacceptable." 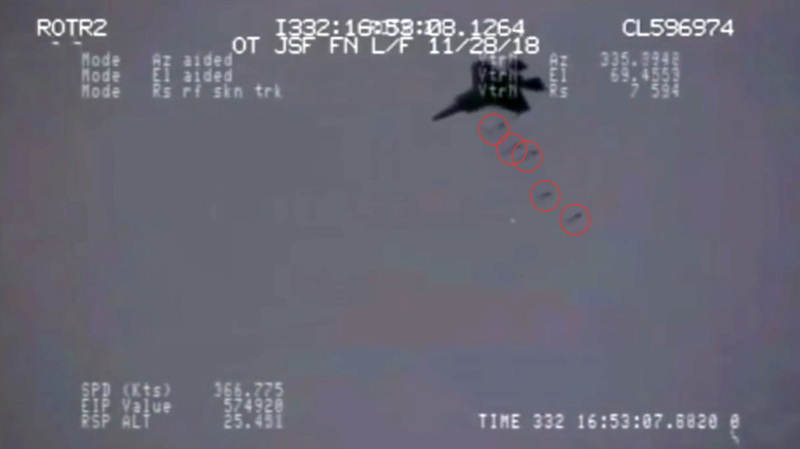 "Although software corrections were made to the F-35 mission systems software to improve the stability of gun aiming cues, no software or hardware corrections have yet been implemented to correct the gun accuracy errors," the report stated. "Investigations into the gun mounts of the F-35A revealed misalignments that result in muzzle alignment errors. As a result, the true alignment of each F-35A gun is not known." Despite this, Air Force Chief of Staff Gen. David Goldfein said in February that he had not seen reports about significant problems with the F-35A's gun. "Given what we've built the F-35 to do, I'm not sure that the gun is going to be the first place I would focus on," Goldfein said at the liberal Brookings Institution think tank in Washington, D.C. "When we talk about fifth generation [fighters], stealth is actually only a small part of that. When we talk about fifth generation, it's about information fusion and being able to have displayed for you information that was not available."